Come with us! We guide you through and show you the city of Leipzig. 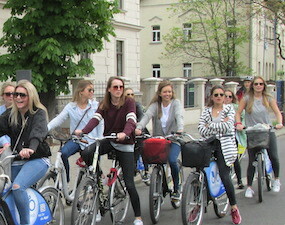 If you're new to Leipzig or even if you already have been here or seen the city center: our guided bike tours have something for you! You need not to bring own bikes, because they are provided. 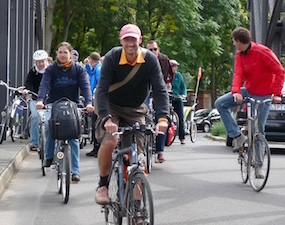 Pick out one of our bike tours. Upon request at any time a tour is possible for you. 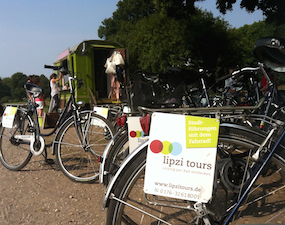 Do you need a rental bike for your tour with us or for your stay in Leipzig? 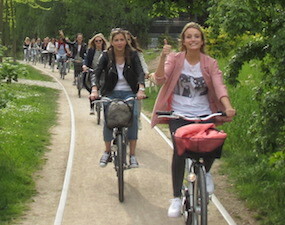 You can rent our bicycles without taking part in one of our guided bike tours. Rental and return are not far from the Leipzig Railway Central Station. Due to the comfortable frame geometry our bikes suite perfect for your excursion at Leipzig. 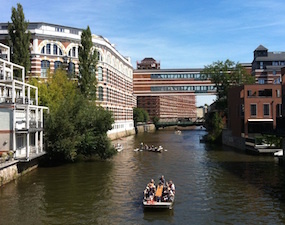 We offer private tours of Leipzig for small groups and urban expeditions for groups of a much larger size. We organize your grand day out at Leipzig. We even plan different tours for company outings, family parties or your personal weekend trip to Leipzig. You can choose between excursions on foot, by boat or by bus. With us, your stay in Leipzig is an unforgettable experience! If you're looking for a personalized experience for your group, we will arrange private tours with your own personal guide. Welcome to Leipzig - we are specialised in tailor made programs at Leipzig. We love Leipzig, a city of history and music and we’d like to welcome you in the best way. 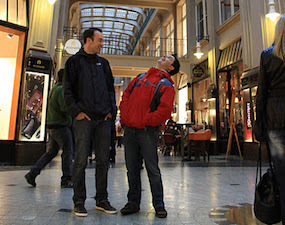 We create inspirational itineraries whether it is a city break or a special interest tour. We specialise on music trips provide cost effective and imaginative solutions for your leisure travel plans. lipzi tours is here for you to help create a memorable event or a unique tour for your clients. Do you need rental bicycles?